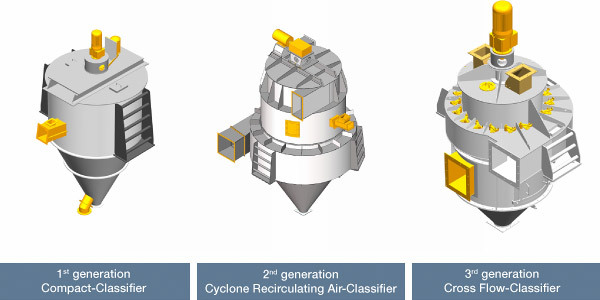 Based on the most recent findings and requirements of the manufacturing industry our engineers and technicans launched the 3rd classifier generation of a High Efficiency Cross Flow-Classifier type with most distinctive qualities. 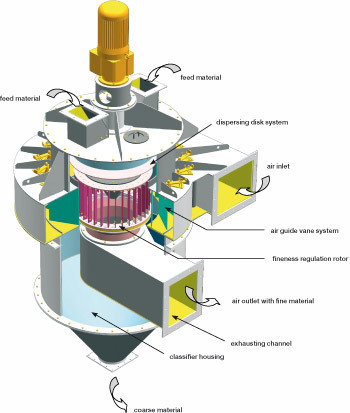 The material is ideally dispersed in a multistage dispersing disk system and distributed evenly in the air stream at the separation zone, around the rotor. 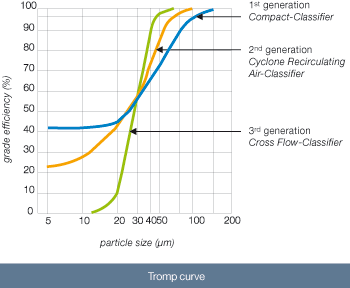 In the classifying zone the material is affected by centrifugal-, drag- and flow forces. Depending on cage rotor speed, air quantity and air guide vane positioning, the material is separated into fine and coarse material. 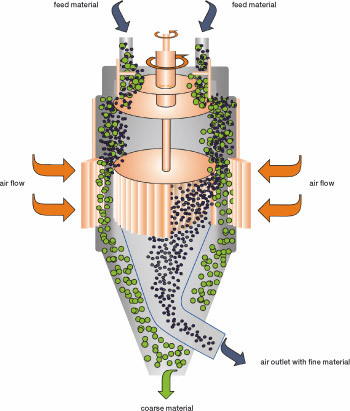 The fine material is separated from the air in a cyclone or filter. The coarse material is descharged into a coarse material collection cone.